UPDATED: Tue., Dec. 12, 2017, 5:31 p.m.
Inland Northwest residents woke up to a shiny coat of ice on the roads Tuesday morning, leading to several crashes and slide offs. Trooper Jeff Sevigney, spokesman for the Washington State Patrol, said a majority of the collisions happened on Interstate 90, where commuters weren’t taking road conditions into consideration. The National Weather Service warned that roads will be slick again Wednesday morning. 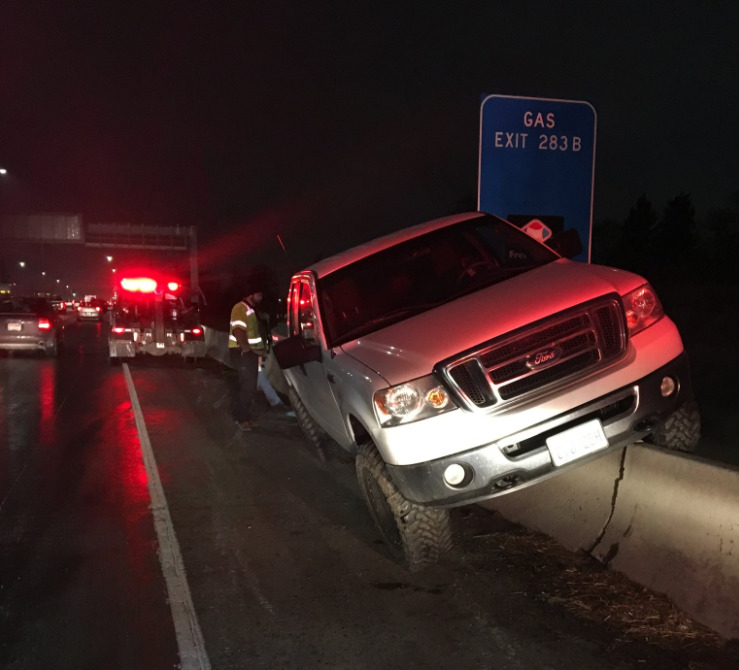 By 7:30 a.m. Tuesday, there were several slide offs on I-90, including a truck that became popped up on a guardrail facing the wrong direction on the westbound side of the freeway near Freya Street. Sevigney said other crashes were reported on Highway 2 and on State Route 95. Jeremy Wolf, a meteorologist with the National Weather Service in Spokane, said a temperature inversion caused a low cloud deck to form over the region early this morning, leading to freezing drizzle at about 4:30 a.m. On roads where deicer was not present, it created sheets of ice that were difficult to spot. The temperature at the Spokane International Airport was about 24 degrees at 7 a.m., when crashes were most prominent. Published: Dec. 12, 2017, 8:08 a.m. Updated: Dec. 12, 2017, 5:31 p.m.